After a period of refurbishment we are pleased to offer our two bedroomed Cottage - Cairngorm View - for self-catering hire with a maximum sleeping capacity of 4. 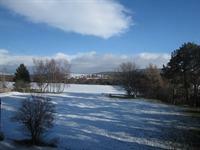 Set in the grounds of the Hotel, the Cottage has it's own parking facilities right outside. 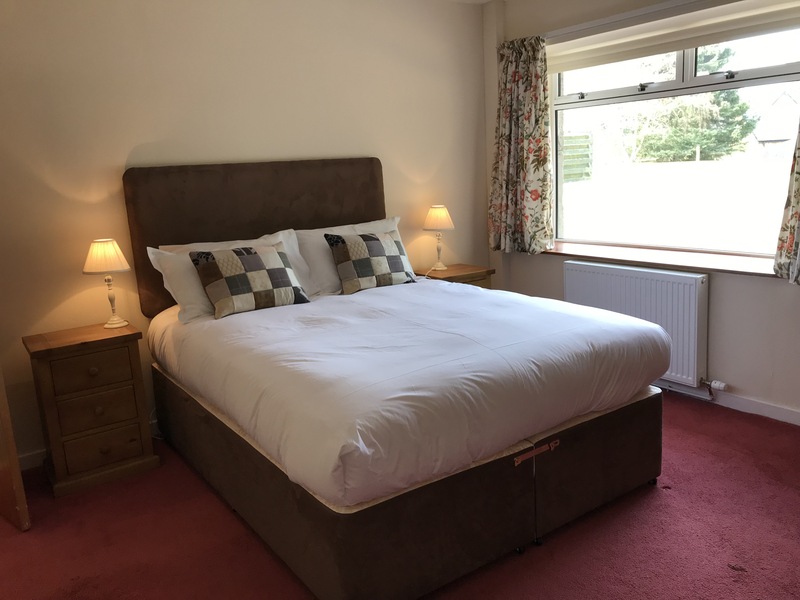 The Cottage is all on one level and comprises two bedrooms, one with a new (April 2019) King size 5ft bed and the other with two single beds. There is a large living room and dining area which has four windows, the largest overlooking the grounds towards the mountains. There is a large Smart TV with Freeview in the lounge. The kitchen has a fridge freezer, washing machine, dishwasher and microwave. There is a good sized bathroom with a large walk in shower which also has a fold down seat. There is a large living room and dining area which has four windows, the largest overlooking the grounds towards the mountains. There are two sofas, armchair and dining table and four chairs. There is a large Smart TV with Freeview. A new oak kitchen has been installed (February 2018) and has an electric oven and ceramic hob with extractor fan above, a washing machine, dishwasher, fridge freezer, a microwave and toaster. 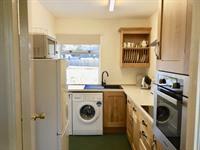 It is well equipped with crockery, glasses, cutlery and kitchen implements. There is a good sized bathroom with a large walk in shower, which also has a fold down seat, making it convenient for those with mobility difficulties. This is the largest bedroom and has a new King Size 5ft bed (April 2019), a large pine wardrobe and a dressing table and stool. There is a large window which has a blind as well as curtains to help shut out the light in the summer time. This is a smaller bedroom and has twin beds and a pine chest of drawers for storage. There is also a blind as well as curtains to help shut out the light in the summer time. There is a back door that leads to a paved patio area with a table and chairs. 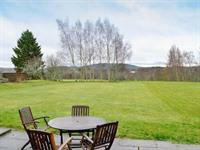 This opens out to the spacious grassed grounds with views towards the mountains. 1600hrs - 1900hrs. Check in may be possible after 1900hrs but may incur a surcharge. Please note for Health and Safety reasons the Cottage is not suitable for young children. Please call us to discuss. In any event children should not be unattended at any time and should be supervised by a responsible adult. Dogs are not allowed in Cairngorm View or grounds. We may be able to accommodate shorter stays at certain times of the year. Please call us for enquiries or to book on 01479 841252. A 50% deposit is required at the time of booking with the balance payable 1 month before arrival or full payment if booking is within 1 month of arrival. A breakage deposit of £250 is payable on arrival and can be held either in cash or by credit/debit card details being given. This will refunded on departure assuming no damage or breakages, of course. We advise you to take out holiday insurance which includes unforeseen cancellation. 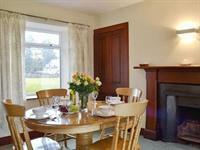 The maximum number of people staying in the Cottage will be agreed in advance and is limited to 4. If this condition is breached, we reserve the right to terminate the booking. 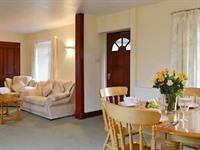 The Cottage is let on a self-contained, unserviced basis. We require that it is left in the same condition and as clean you found it with rubbish removed and placed in the bins outside. Cleaning products can be found in the kitchen. The person who books the accommodation is responsible for the behaviour of the members in their Party and for ensuring the terms and condition of hire are observed. We have a responsibility to all our guests and we reserve the right to remove anyone who acts in a manner which prevents others from enjoying their stay. Bearing in mind the environment is one of a tranquil Edwardian Hunting Lodge, parties and loud music will not be permitted. Dogs are not allowed in Cairngorm View or grounds. Guests arriving with any animal will have their booking terminated and any monies paid forfeited. 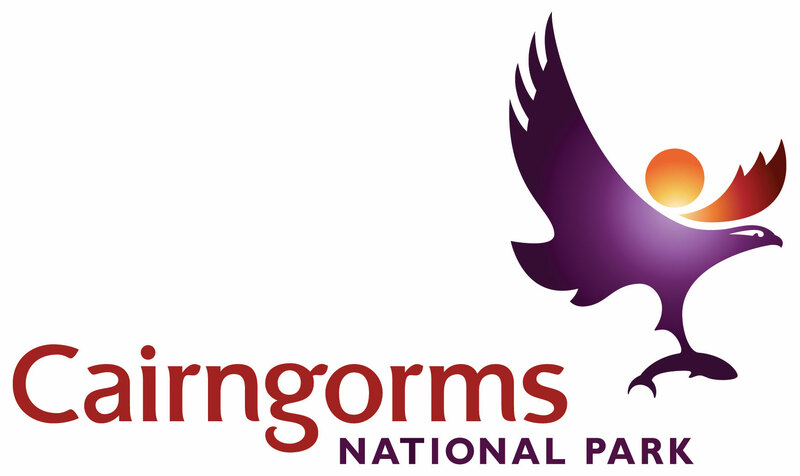 Only the people whose names are provided to us on the original booking will be permitted to stay in Cairngorm View. 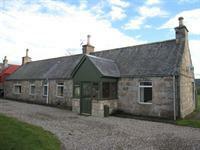 Any additional visitors must be notified to and agreed by Dalrachney Lodge.